¡ Philosophy of History Now ! Jorma Kalela is professor emeritus of contemporary history at the University of Turku (jorkal [at] utu.fi). He is presently finalising a study titled: Why history? Meaningfulness as the core of history-making. Hayden White plays, together with E.H. Carr, a key role therein. 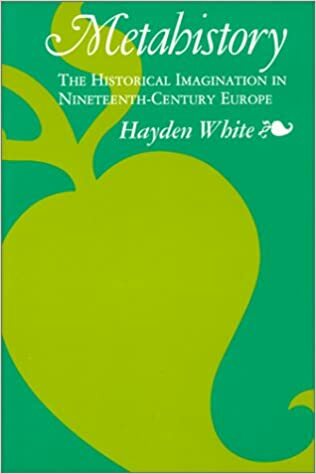 Hayden White was an internationally very influential scholar (1928–2018), who “explored how history is made”. This is the theme on which The New York Times focused in its obituary for the American historian on March 10, 2018. Many colleagues in his discipline would, however, probably describe his professional character differently because of his notoriety. They connect White, still today, with the “vehement attack by postmodernists on the notion of scientific history, based on the rigorous investigation of primary sources”. In White’s view, it is impossible to approach the past “directly” in the sense scholarly historians suppose they are doing. To think of research in terms of a setting with just the historian and (sources to) the past matters chosen is artificial: there is always (to use current vocabulary) a filter in between. In White’s logic historians have disparaged the role of their final accounts as wholes. They cannot avoid choosing a particular mode of presentation and this mode conveys an interpretation of the past studied. When constructing this version, they “cannot help but impose their own assumptions on the past reality”, as the Dutch biographer of White, Herman Paul, puts the argument. “In that respect”, Paul continues, “they resemble authors of fictional literature”. White’s approach raised a great number of complex questions which superseded the epistemological issues that had dominated the theoretical and philosophical discussion of historiography during the post-war decades. One aspect of this change was the broadening of perspective; White was interested in “anything but” the historical discipline, as Paul stresses. His main focus was on “historical imagination, in and (especially) outside the ivory tower of professional scholarship”. The critical reaction of the professional mainstream against White at the end of the 20th century showed not only the narrowness of the traditional thinking. The condemnation of his ideas revealed also the core of his rationale: the production of reliable knowledge of the past is not, and must not be, the overriding goal of all history-making. The historians’ ultimate goal is to establish the value of the past “as a way of providing perspectives on the present that contribute to the solution of problems peculiar to our own time”. White’s intentions were ignored by the critics within the profession – which entailed committing the “cardinal sin”. White was not approached “on his own terms”, as the fundamental ethical principle demands. The question is here of a standard to which all scholarly historians have adhered to – even if they have never been unanimous regarding the implications of “in its own terms”.